Whether you use OE suspension, or upgraded, this problem can be ugly! For whatever reason, this shock mount area is something BMW never got right on the three series from the 1983 until the 2007 modes: the OEM mounts are sloppy and fatigue quickly and the sheet metal area around them can be deformed over time simply by absorbing road irregularities, especially if you have upgraded suspension or an ///M car... Sometimes there is permanent damage even under daily driving conditions alone! Many companies make an upper shock mount, but we use and sell what we believe are the best performing you will find. Structural improvement and quality in these sets is dramatically better next to uprated OEM or "repair shop" replacements marketed as "high performance". 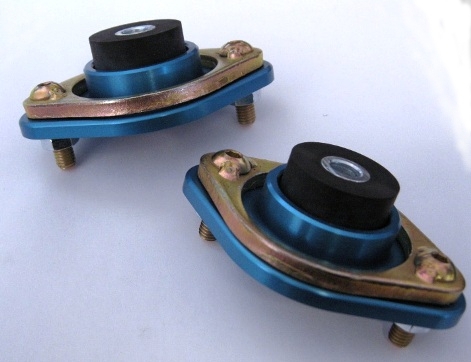 -These mounts have tuned durometer (firmness) rubber shock-rod mounts that are stiff enough to let the damper perform properly while maintaining a quiet, controlled ride. 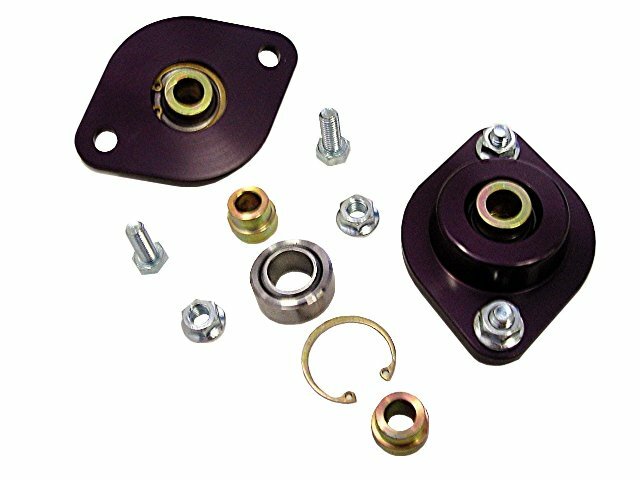 -They also include shock tower reinforcement plates, a necessity and typically sold separately for $30- for free in each set. The best we have found for all around performance: friendly on the street, responsive enough for the track. A must have when doing ANY rear suspension upgrade, these will save you time, money, and help save your chassis.